It took the better part of a year but Angry Bird fans rejoice. Angry Birds Seasons for Windows Phone has finally been updated, brining 24 new levels, a load of stability improvements and it is now free. The update hit the Windows Phone store yesterday and is available now to download. Angry Birds as a whole remains one of the most popular games ever for mobile devices regardless of platform. Seemingly however, as is the case more than it should be, the Windows Phone versions of the games are woefully behind on updates. That’s changed with this release of Angry Birds Seasons and hopefully this is a trend we will start seeing for the entire franchise on Windows Phone. artifacts themed for that region of the world. And of course plenty of pigs to pop! 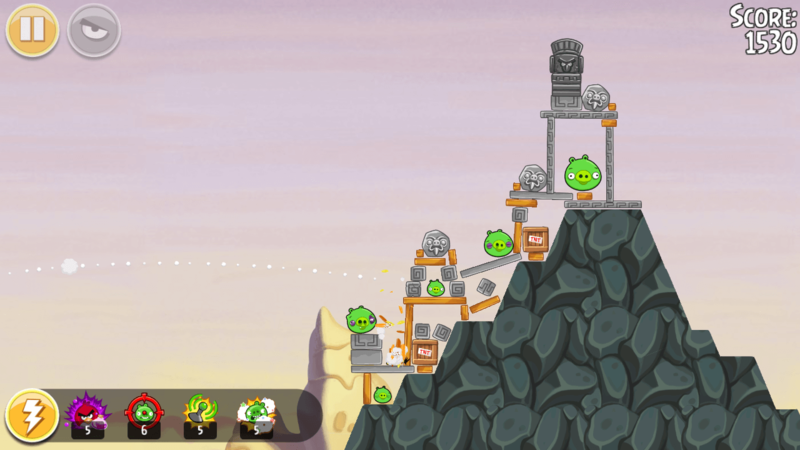 There is also a new feature in Angry Bird Seasons named Pig Days. Pig Days levels celebrate various special events, anniversaries and holidays from around the world. You can expect to see one of these almost every week in the game. So yes you can pop a few pigs and learn a little something about another part of the world at the same time. Personally Angry Birds Seasons is probably my favorite version of the game so now that it is free there’s no reason not to give it a try.